This just got in. 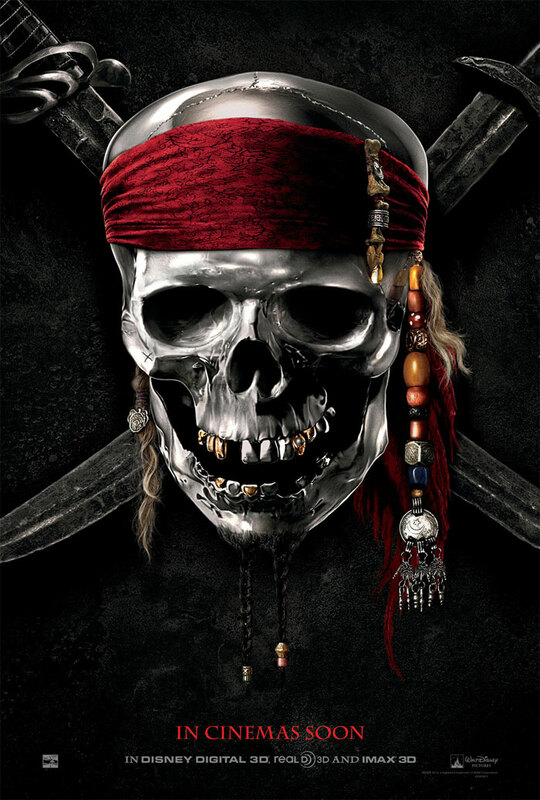 Walt Disney Pictures shared the first trailer of the upcoming 4th installment of Jack Sparrow's journey in Pirates of the Caribbean franchise. But this time he will be joined by a brand new crew including Penelope Cruz and Ian McShane on their quest to find the fountain of Youth. In this action-packed tale of truth, betrayal, youth and demise, Captain Jack Sparrow (Johnny Depp) crosses paths with a woman from his past (Penelope Cruz), and he’s not sure if it’s love—or if she’s a ruthless con artist who’s using him to find the fabled Fountain of Youth. When she forces him aboard the Queen Anne’s Revenge, the ship of the formidable pirate Blackbeard (Ian McShane), Jack finds himself on an unexpected adventure in which he doesn’t know who to fear more: Blackbeard or the woman from his past. Directed by Rob Marshall (“Chicago”), “On Stranger Tides” is the fourth entry in the blockbuster franchise which has already reaped $2.7 billion in worldwide box office from the previous three films, and the first to be filmed and presented in Disney Digital 3D™.